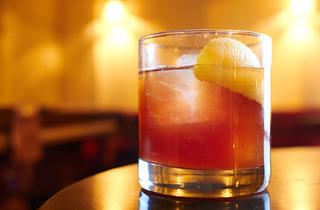 Chicago bartenders are fanatical about the Spanish fortified wine. 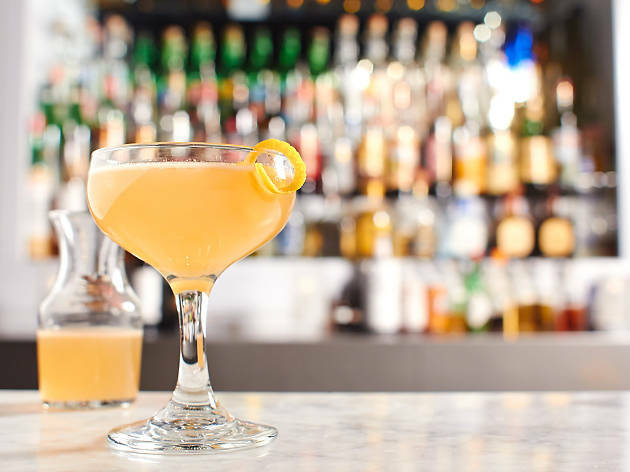 Here's a primer to understanding all the styles plus 11 cocktails to try. Photograph: Jason LittleFino:&nbsp;The light, dry sherry has nutty notes and Mendez says it can take the place of an aperitif wine at the table. Classic pairings are with jamon and anchovies. 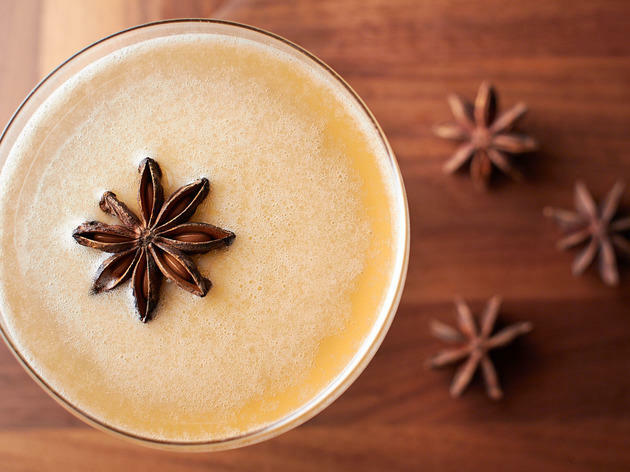 Drink it: Dusty Boots at the Whistler It's&nbsp;made with fino sherry, reposado tequila, demerara rum, orgeat, honey, lime and star anise. "The fino sherry we use is light and crisp, yet bold and nutty with a touch of citrus and minerals," the Whistler's Billy Helmkamp&nbsp;says. "These qualities compliment and enhance the other flavors presented in the cocktail without adding too much sweetness as some other styles of sherry might." The Whistler was an early adopter in terms of sherry. "We're crazy about sherry," Helmkamp&nbsp;says. "In fact, I don't think a day has passed in 2+ years where one couldn't find sherry featured on our cocktail menu. 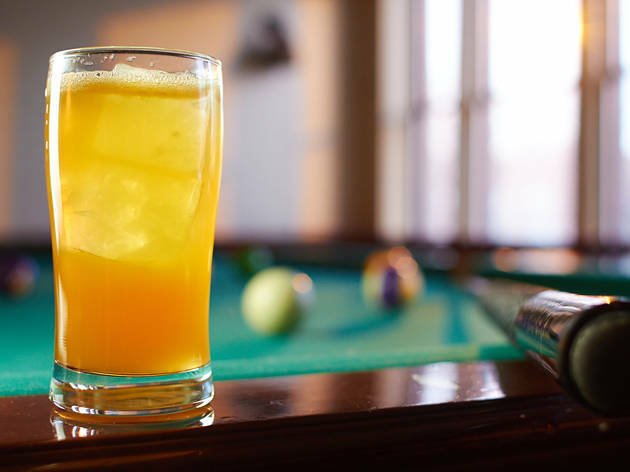 The Bodega Buck, for example, has enjoyed a long run as our $6 cocktail option. 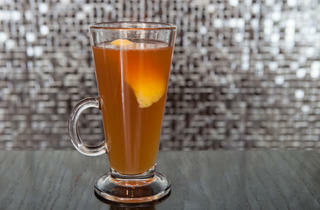 That one features bourbon, dry oloroso sherry, honey, lemon, ginger ale and Angostura bitters." 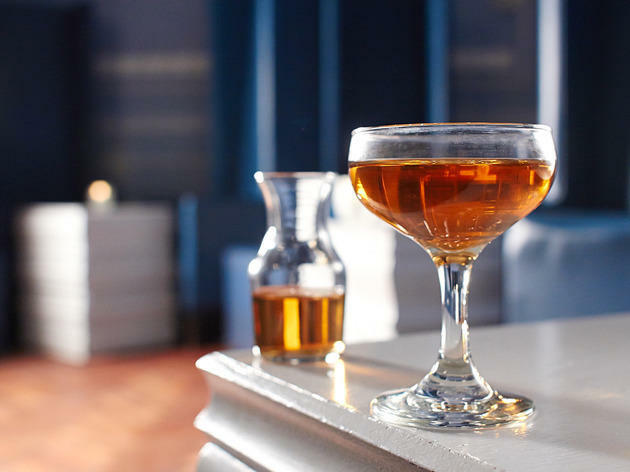 Photograph: Jason LittleDrink it: Tiffany Amber Thiessen at Barrelhouse FlatAmontilllado &ldquo;complemented rye very well, playing on the toasted, honeyed, woody notes,&rdquo; Jessica Tessendorf says. 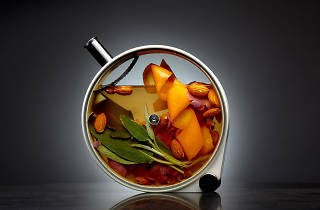 &ldquo;It provides great nuttiness and slightly dries out the cocktail," which also includes two types of rum, lime, cane syrup, orange bitters, sparkling wine and lavender tincture. Photograph: Matthias MergesPalo Cortado: The dry wine begins as a fino and then spontaneously loses its flor and becomes a palo cortado. "It has the dryness of a fino but the richness of an oloroso," Mendez says. 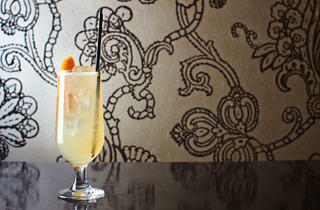 Drink it: Box Lunch at Billy SundayThe sherry "was an awesome inclusion," says bartender Alex Bachman, noting that it establishes the acidity but also "the toasty, nutty, hazelnut" notes that pair well with the oatmeal in the milk. "That drink would not be where it is today if it wasn&rsquo;t for the sherry," he says. "We wouldn&rsquo;t have put it on the menu. 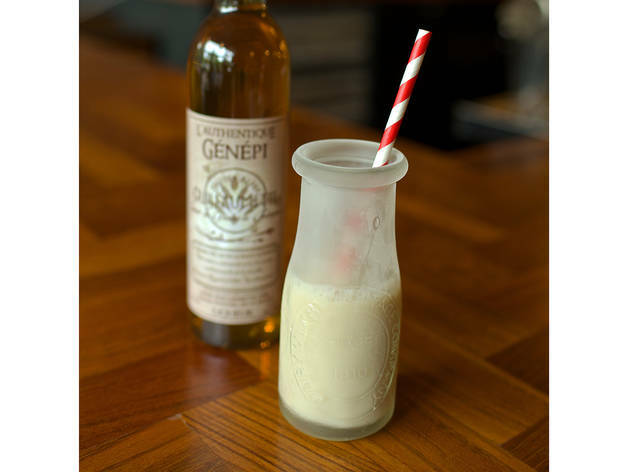 The sherry helps to reinforce the lactic acid in the milk." 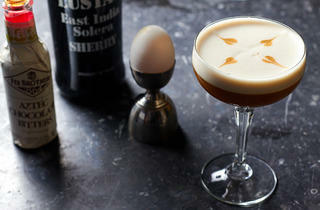 Photograph: Jason LittleCream: It's a sweet sherry made with oloroso sherry. Drink it: Violet Beauregard&nbsp;at&nbsp;Barrelhouse Flat Tessendorf uses&nbsp;Lustau India Solera, which is a cream sherry, with Weller 107, Smith &amp; Cross, Cinnamon syrup, lemon, angostura, absinthe and muddled strawberry. 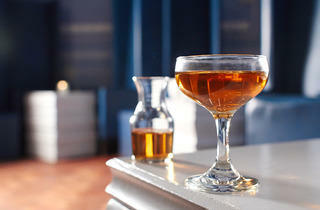 The sherry "is the base spirit, and is highlighted by bourbon and rum," she says. 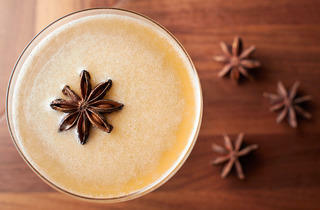 "Sweeter than the amontillado, it pulls double duty as a spirit and sweetener." Photograph: Jason LittlePedro Xim&eacute;nez: The sweetest sherry,&nbsp;Pedro Xim&eacute;nez (commonly called PX), is made with grapes that are allowed to turn into raisins before being made into wine. 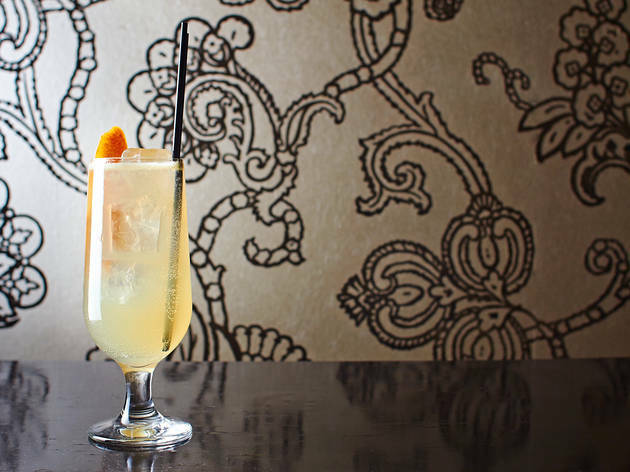 Drink it: The Tempest Wild at the Violet Hour&ldquo;We&rsquo;re using Pedro Ximenez in the Tempest Wild, and that&rsquo;s a sweet sherry,&rdquo; Thompson says. 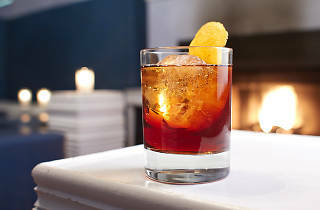 &ldquo;I&rsquo;m using the sherry in place of the sweetener in the drink, and while it adds sweetness it also adds complexity and deep, figgy, raisiny notes.&rdquo; The drink also includes Scotch, rum, amaro and bitters. 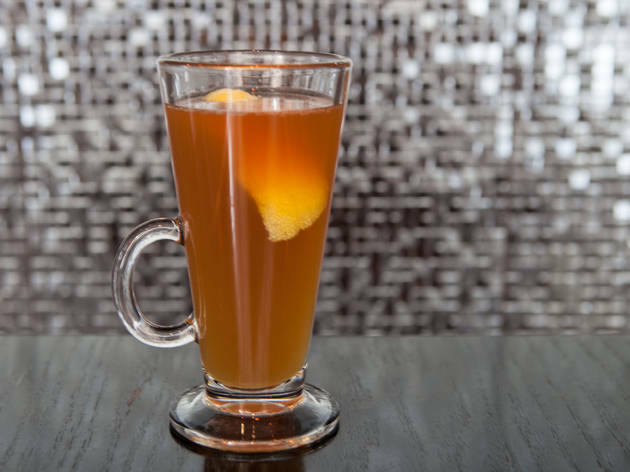 Photograph: Martha WilliamsDrink it: Bear Medicine at Sable Kitchen and Bar"Bear Medicine is served hot and we&rsquo;re using Tomintoul, which is a peated edition of the Speyside whiskey, maple syrup, Pedro Xim&eacute;nez and lemon," bartender Mike Ryan says. "Pedro Xim&eacute;nez is one of the sweetest wines in the world. The grapes are picked when they're dried and pressed so that the excess water evaporates and the sugars are concentrated. The one we use is big and rich with brown sugar and maple notes." While most recent trendy liqueurs are of the bitter variety (see: Fernet, Malört), the hottest cocktail ingredient right now is something your grandmother probably has a bottle of—sherry. 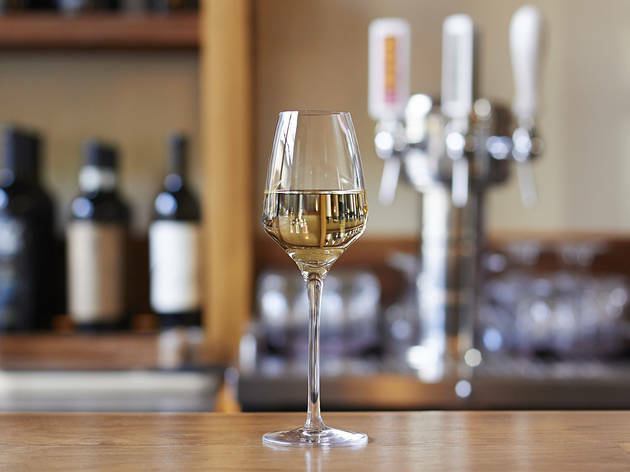 The fortified Spanish white wine has a reputation as a stodgy beverage, but lately Chicago bartenders can’t seem to get enough of it. 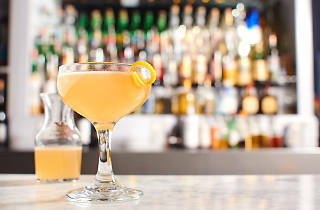 We haven’t seen a new cocktail list without at least one sherry cocktail, while multiple styles are being used at places like Drumbar, the Violet Hour and Barrelhouse Flat, and a couple wine-focused spots have sherry lists. 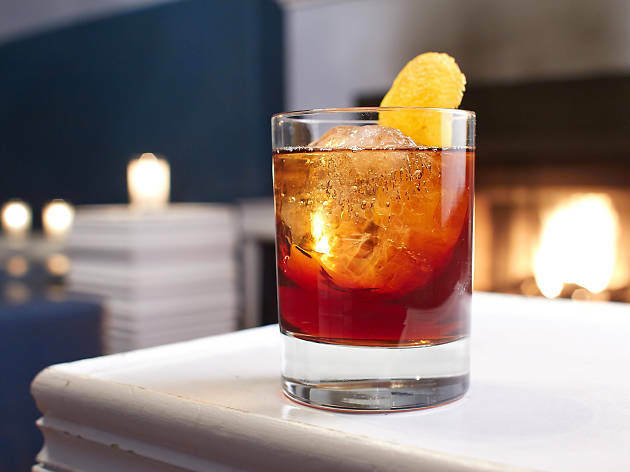 “There’s a misconception that most sherries are sweet and made to cook with,” says Jeremy Quinn, sommelier at Telegraph, Bluebird and Webster’s Wine Bar. 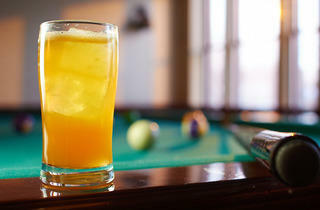 “I try to introduce that style to guests, but they recall their grandmother sipping it out of a little cup. Then I give them a splash on the house with an olive and they say it’s great and order a whole flight." 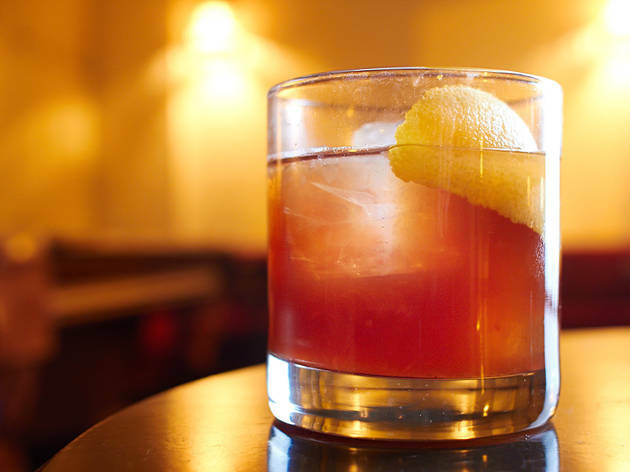 Getting drinkers to order sherry straight can be a challenge, so it's a good thing the wine is also wildly popular as a cocktail ingredient among local bartenders. "As a component, one would be hard pressed to find another product category that can provide nearly as much variation and flexibility,” says Barrelhouse Flat’s Jessica Tessendorf. “Lean and delicate, nutty and dry, sumptuous and sweet; you're covered. It is capable of bridging gaps between ingredients, much like other fortified wine and amari." Given how bar programs have progressed over the past few years, it makes sense that it's finally sherry's turn. 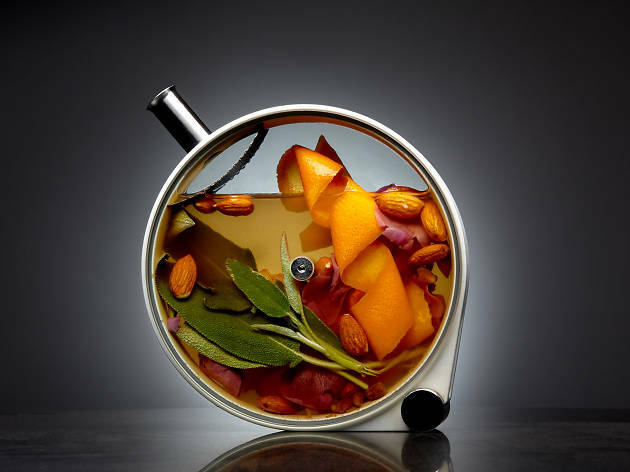 The Aviary’s Charles Joly says sherry’s popularity can also be contributed to the Consejo in Jerez that oversees sherry production and helps promote the region. Recently, that’s included a sherry competition in New York. 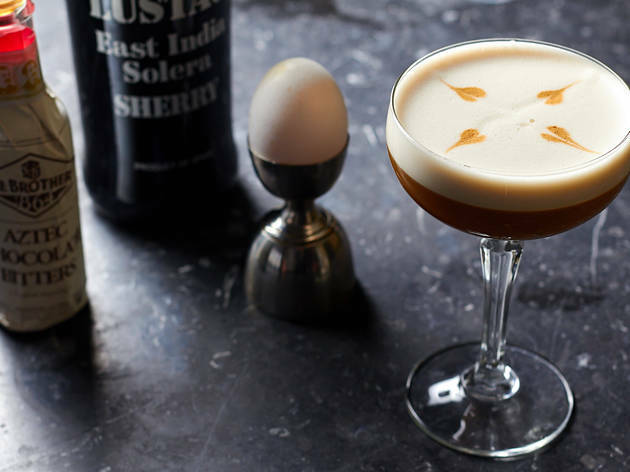 Despite its current ubiquity in cocktails, sherry is kind of hard for the lay drinker to understand. Why are there so many kinds? What does PX mean? Why should we drink it? Here's a quick lesson: Sherry is made in the Jerez region of Spain from three main grapes: Palomino, which accounts for 97% of sherry grapes, Pedro Ximenez, which is left to become a raisin on the vine before it’s pressed, and Muscatel. The grapes are turned into wine that’s fortified and put into a barrel. Much of sherry is aged in a solera system, in which wine is taken out of barrels so new wine can be put in. That blends the sherry, and you can’t tell the age of it, because it’s a mix of ages. Those three grapes make a variety of sherry, which range from bone dry and sweet. The dry sherries are fino, manzanilla, oloroso, amontillado and palo cortado. 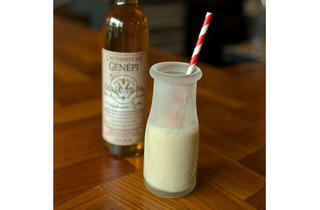 The sweet sherries include Pedro Ximenez, cream and Muscatel. Finos and manzanillas are called “biological” sherries, because flor, a yeast, develops on top of the wine in the barrel, and it results in a nutty flavor. The other sherries are oxidized, which means flor doesn’t develop, and they’re richer and deeper, and can have maple and molasses notes. Palo cortado is a more complicated sherry—it starts out as a fino or amontillado with flor, then it becomes a non-flor sherry, so it has characteristics of both styles. Each style of sherry is available in Chicago and we had bartenders walk us through cocktails they made with it. 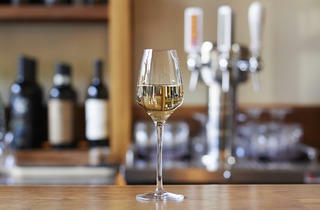 The result: where to drink sherry, from the driest style to the sweetest.